An action packed 18 months! For the past couple of years I have been fortunate to work with many talented people. Most projects have been for broadcast on CBC, TVO and just about every Corus Entertainment channel. The prolific amount of work has been quite amazing and I couldn’t have managed without the help of James Yates who has been a rock solid fixture here at Beevision. I met James while speaking at Niagara College and we have become a strong team, usually not only editing the work but also doing the complete finishing with colour correction, motion graphics, titles and final delivery. I could boast about my toolbox and toys but I won’t… except maybe the addition of Davinci Resolve and a very nice FSI color grading monitor. Winner of the 2013 CCMA for Country Music Program or Special this one hour docu-concert was also nominated for a Canadian Screen Award in the best Music Program or Series category. Between songs at a live concert in Calgary, Dean Brody returns to Jaffray, B.C. where he is a hometown hero! Directed by Joel Stewart for Corus Entertainment. I just recently cut a very cool pilot for this doc series about Texas born, Country singer-songwriter Willie Mack who has had “visions” and at 39 is preparing to try out for the CFL. Directed by Joel Stewart for Corus Entertainment. I cut 3 x 30 minute episodes of this six part series. Each episode features Country artist Jason McCoy in a different southern state where he visits awesome restaurants, meets quirky folk artists and explores cool off the beaten path experiences. Directed by Joel Stewart for CMT. Produced and directed by Susan Nation for the Pet Network this one hour doc is about… you guessed it… big dogs, little dogs and working dogs. One hour special for YTV about contest winner Amanda and her sister who fly to New York City to attend One Direction’s sold-out concert at Madison Square Garden and meet the famous five – Harry, Liam, Louis, Niall, and Zayn – at a VIP meet-and-greet event. Hoardes of screaming winner girls from 14 countries! 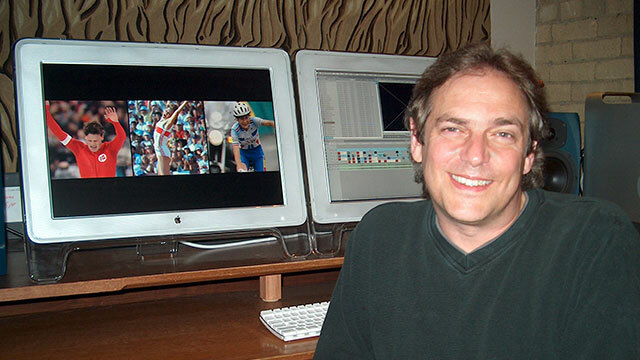 In between all of these projects I somehow found time to work with Doug Hohener at Creative Works Marketing on corporate and fund raising videos for Scotiabank, Canadian Diabetes Assoc., Toronto General and Western Hospitals, Sick Kids Hospital, Princess Margaret and BC Kids Hospital. To make sure I had no spare time I also cut on-air promos and trailers at Corus for ABC Spark, Movie Central, OWN, CMT, YTV, Treehouse, and the W Network. Somewhere in the mix there were a couple of commercials and a few other corporates plus the half dozen pitch/sizzle reels for new series in development, trailers for many of the above and of course shooting and editing my daughter Jamie’s acting audition videos and my son Liam’s indie band “The Unemployed’s” numerous performances. It’s been an action packed 18 months and I would like to thank everyone mentioned in this post.